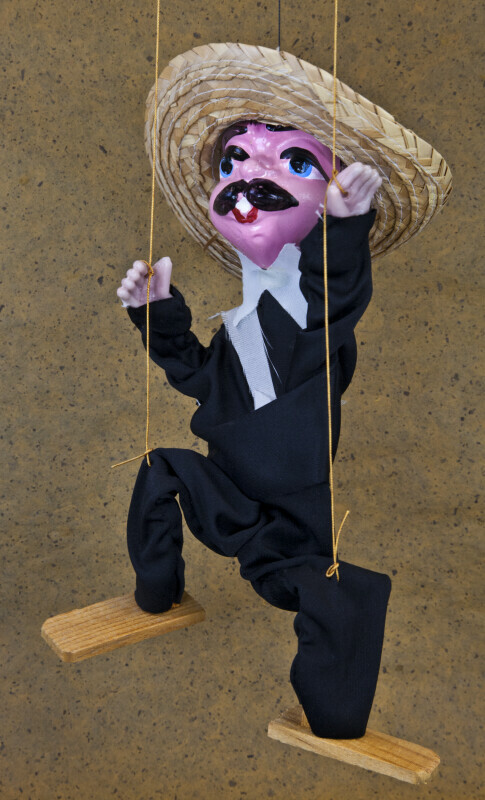 Mexican male marionette. He has a paper mache head that is hand painted. His hands and feet are wood and he is wearing black cotton shirt and pants with a white bow. He has a straw hat and is controlled by three strings. The figure stands 12 inches (30 cm) tall. WARNING: You are about to download a 26.0 MB TIFF!